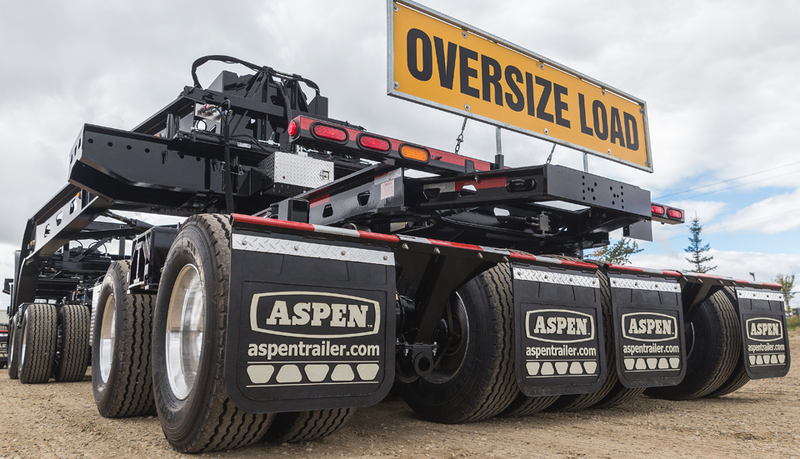 When you’re looking for a heavy haul trailer, consider Aspen. We understand heavy haul trucking companies succeed by safely hauling the maximum payload weight regulations allow, with little downtime and few components sitting idle in the yard. Across 6 market segments and 27 product lines, Aspen’s product portfolio ranges from 25 ton tandem trailers to 300 ton multi axle transporters. Our trailers are reliable, safe to operate and work together in multiple configurations. Choose Aspen – HAUL MORE. Across 6 market segments and 27 product lines, Aspen’s product portfolio ranges from 25 ton tandem trailers to 300 ton multi axle transporters. Our trailers are reliable, safe to operate and work together in multiple configurations.